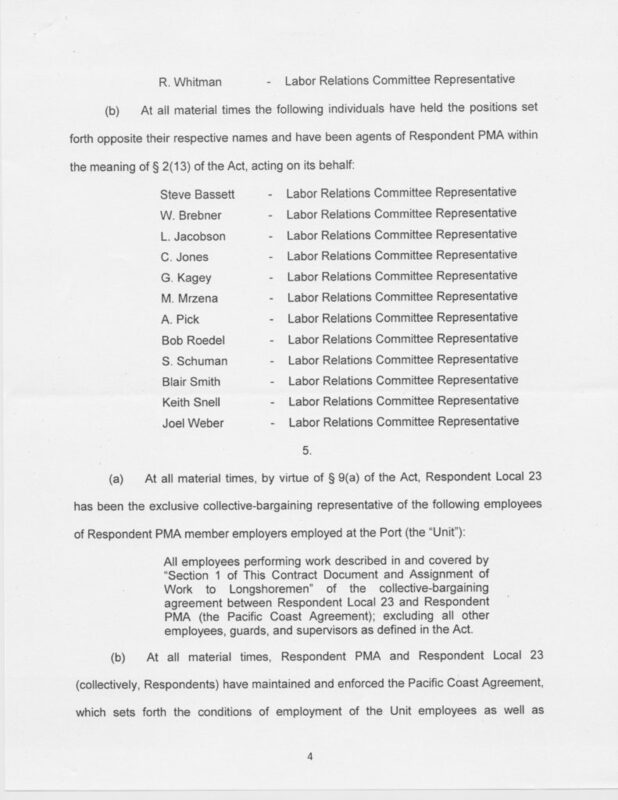 Jarod Faker goes to trial for unlawful deregistration of B-man & PMA is being charged with colluding with the Union. 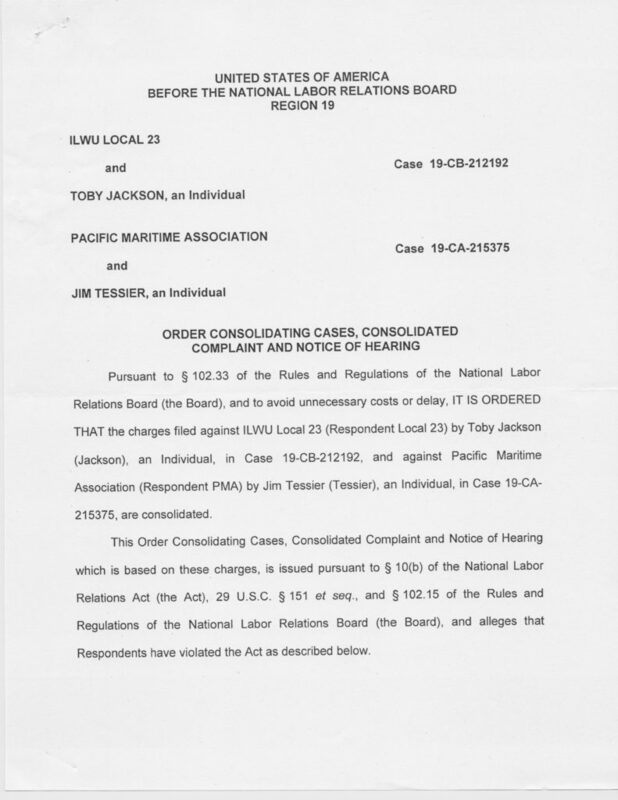 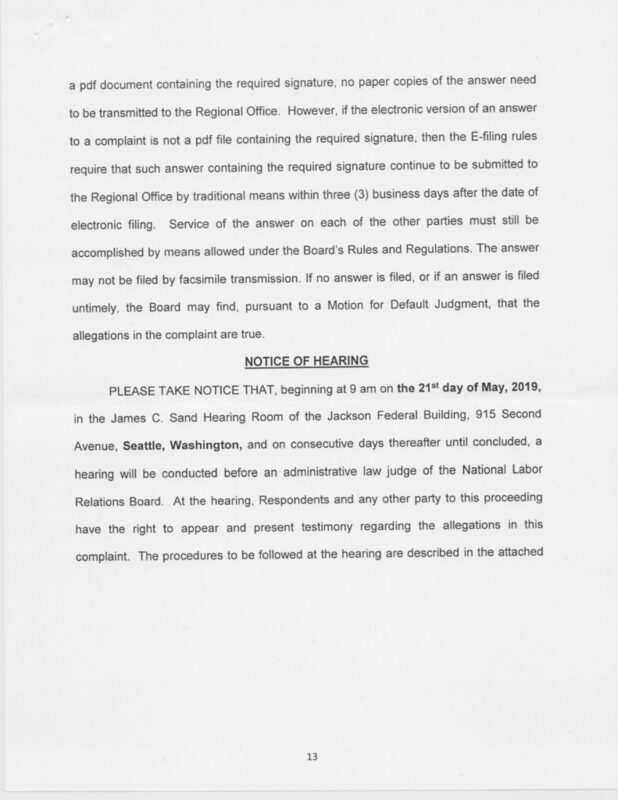 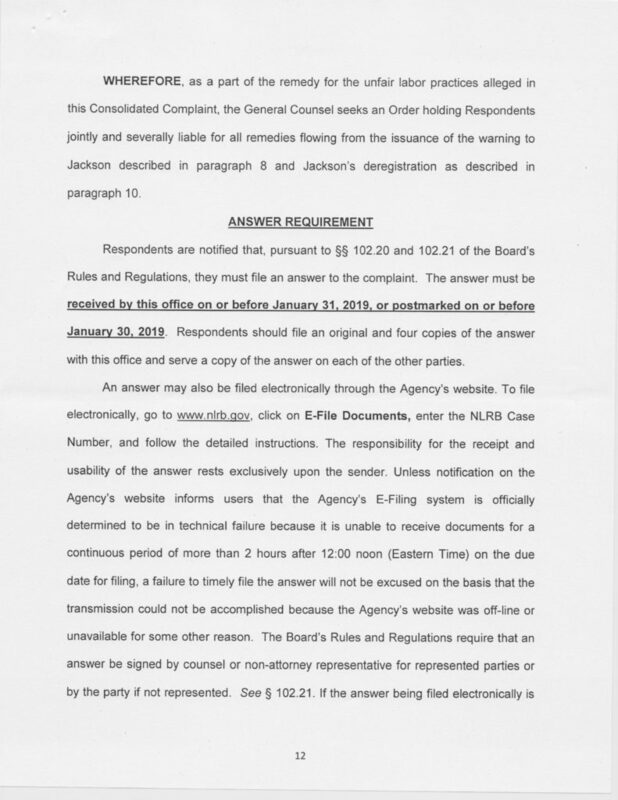 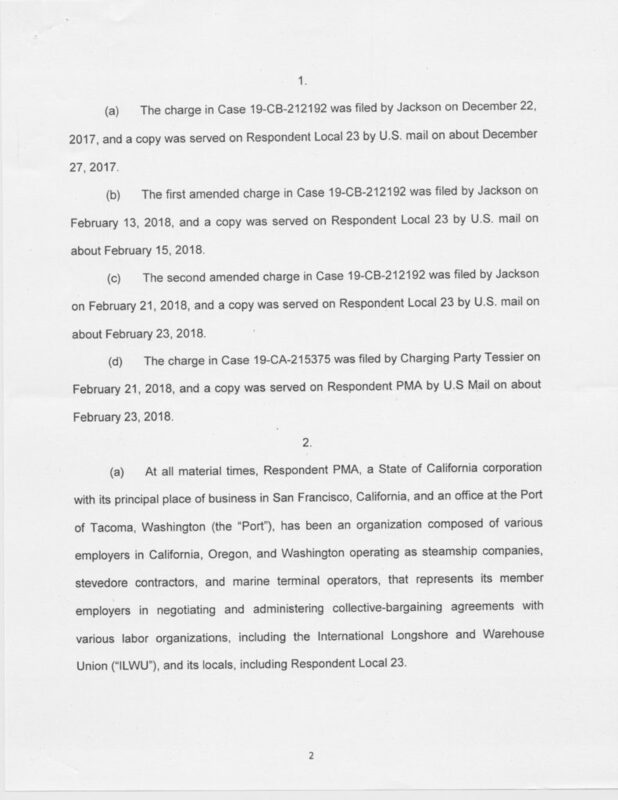 Local 23 and PMA refused to settle, and on January 17, 2019, NLRB Region 19 issued the following Complaint and Notice of Hearing. 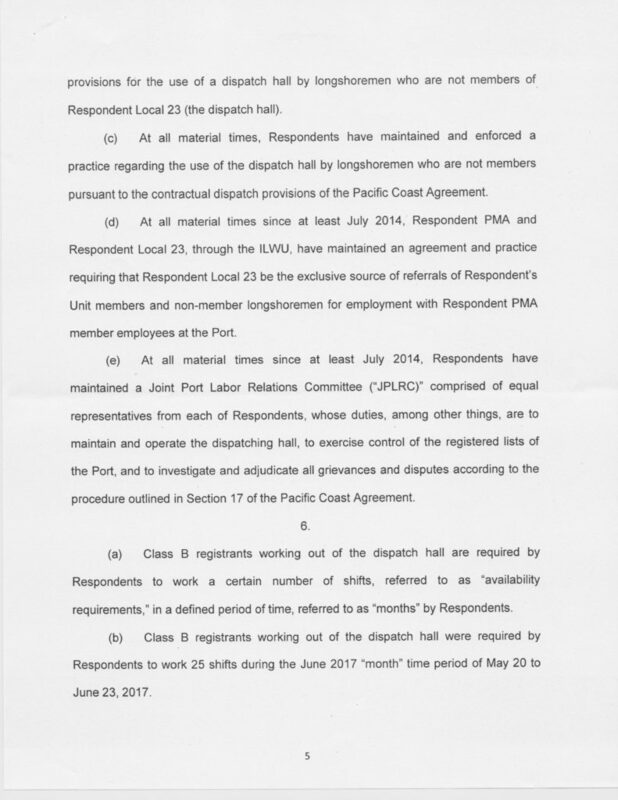 PMA and Local 23 refused offers of a non-Board settlement and the proposed settlement sent to PMA and Local 23 on December 13, 2018. 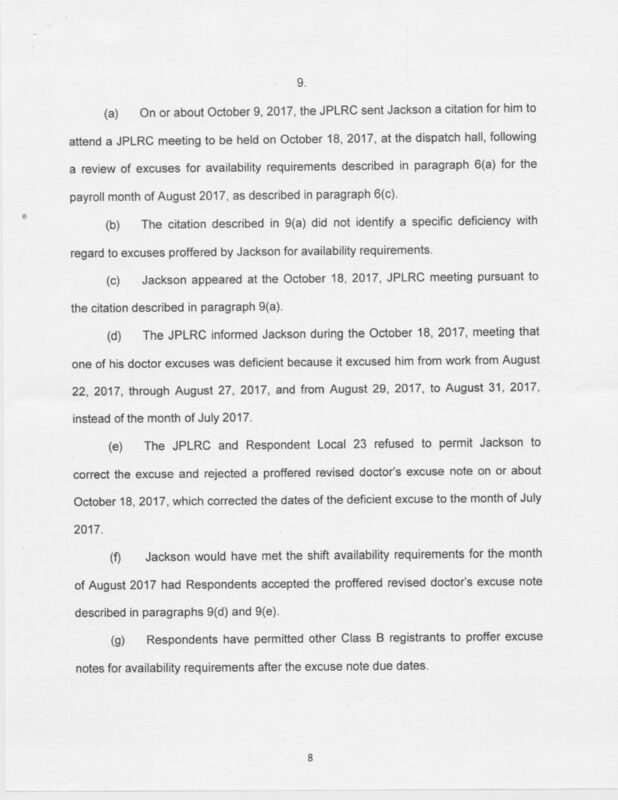 Does PMA really think they can convince a Judge that it is ok to refuse to accept the Doctor’s excuse, that was provided at the meeting that Toby was cited to appear at, to explain his low hours? 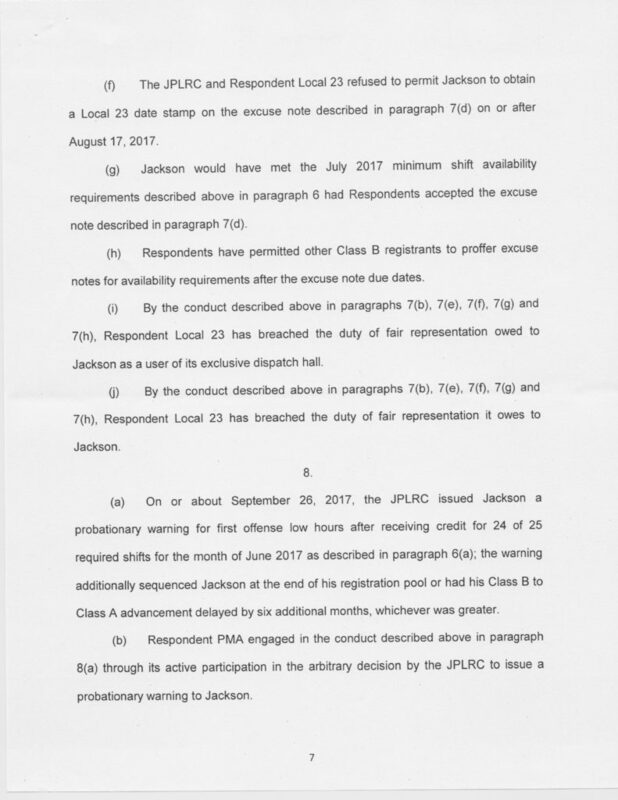 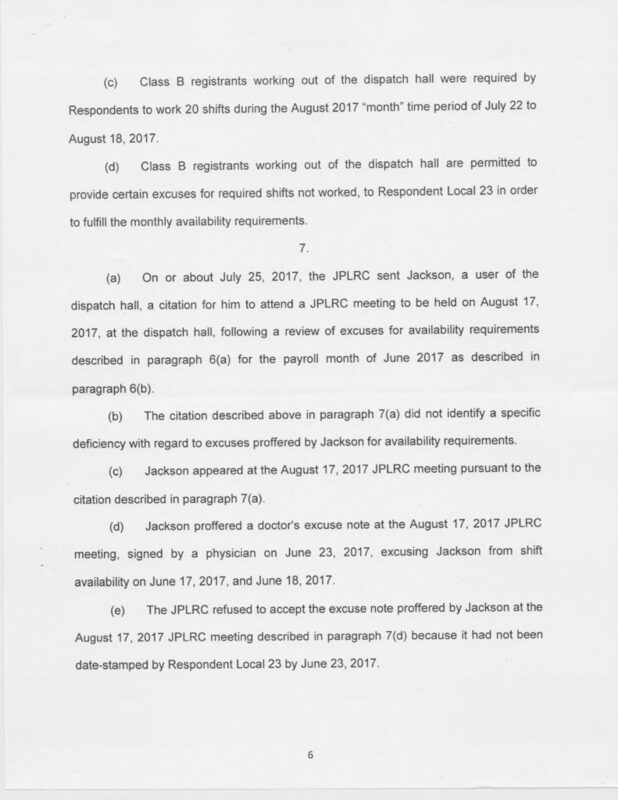 Is PMA really clueless enough to agree with Jarod Faker’s moronic claim that Toby’s excuse was not valid because it was not date stamped by the Local 23 secretary? 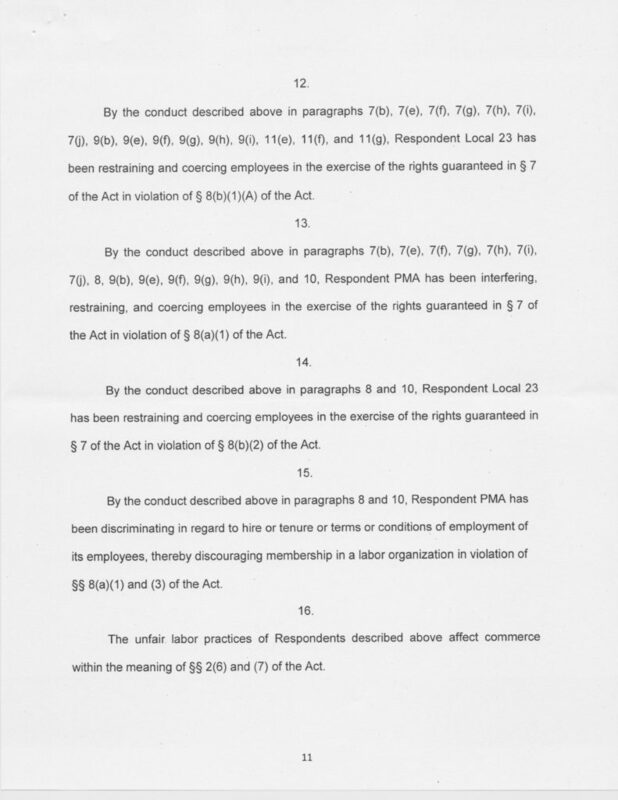 PMA has gone downhill big time, since I worked there. 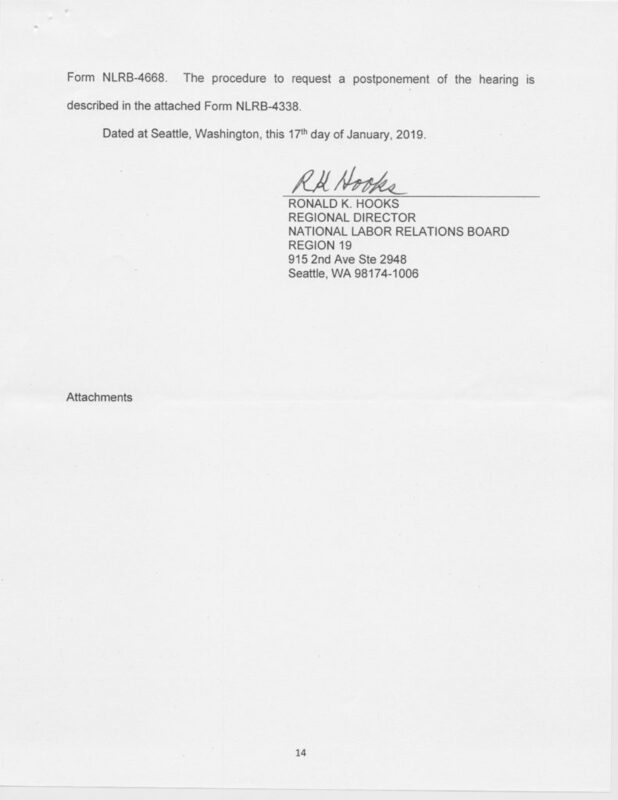 It’s not like the Union didn’t try to go after guys they didn’t like back then, but we did not allow behavior like this back in the day. 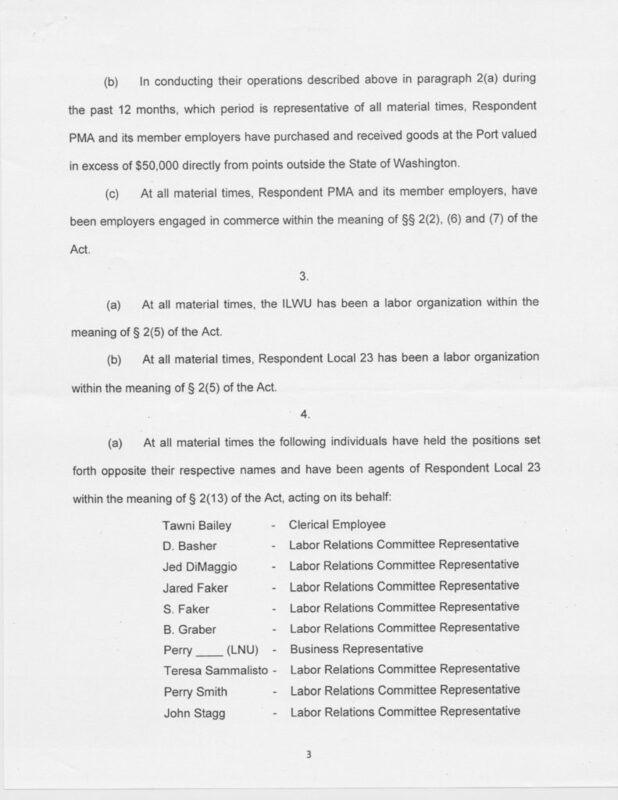 « Local 23’s Jarod Faker is calling the shots, and the NLRB says it will cost both the Union and PMA.